When most people think of their dream home, the first rooms that come to mind are the living areas and kitchen. They think about soft, fluffy carpet, handsome hardwood floors, beautiful granite countertops, gorgeous cabinets, and other aspects of their ideal renovation. However, one of the rooms that’s often overlooked but is still vital to the overall appeal of a home is the bathroom. If it’s time for your Chevy Chase, Maryland home to undergo a bathroom remodel, then we are the team to call! Bathrooms often take a back seat to the more “glamorous” rooms in a house, but that doesn’t mean that they aren’t incredibly important. In fact, when considering how much time is spent every day in the bathroom (between morning and evening routines, showers, baths, and intermittent visits throughout the day), it quickly becomes apparent how much they contribute to having a comfortable and attractive home. A modern, functional, updated bathroom is important for both monetary and comfort reasons. When house shopping, many people look to the kitchens and bathrooms to help them decide which home they want to purchase and whether it’s worth their hard-earned money. Upgraded bathrooms can make a significant difference in their perceptions of a home. If you plan to continue living in your home for the foreseeable future, there are still several important reasons to make sure your bathrooms live up to the standards set by the rest of the house. The first and foremost reason involves your own quality of life. A comfortable bathroom that’s tailored to your needs goes a long way towards making your day better. Imagine waking up in the morning and enjoying a refreshing shower in your new bathroom, having enough room for your teenagers to all get ready before school, or enjoying a relaxing, warm bath after a hard day’s work. Second, your bathroom often contributes to the overall impression that visitors have of your home. If the rest of the house is gorgeous but the bathroom is substandard, they are likely to notice. With a bathroom remodel, you can entertain and host with the confidence that every part of your home is beautiful, clean, and welcoming. Home renovation isn’t a new phenomenon. As long as people have lived in houses, they have sought ways to make them more comfortable and beautiful. Investing in your home is widely recognized as beneficial both in the short and long term. Bathroom remodels are especially important because of the vital role that bathrooms play in a home. If a potential buyer sees bathrooms that are outdated and dilapidated, they are far less likely to buy that home and will instead move on to others in less need of help. At InSite, we specialize in creating bathrooms that are both elegant and highly functional. With the added benefit of our Client for Life philosophy, you can be assured that we will help them stay that way even after the renovation is complete. You deserve to be comfortable in your own home. 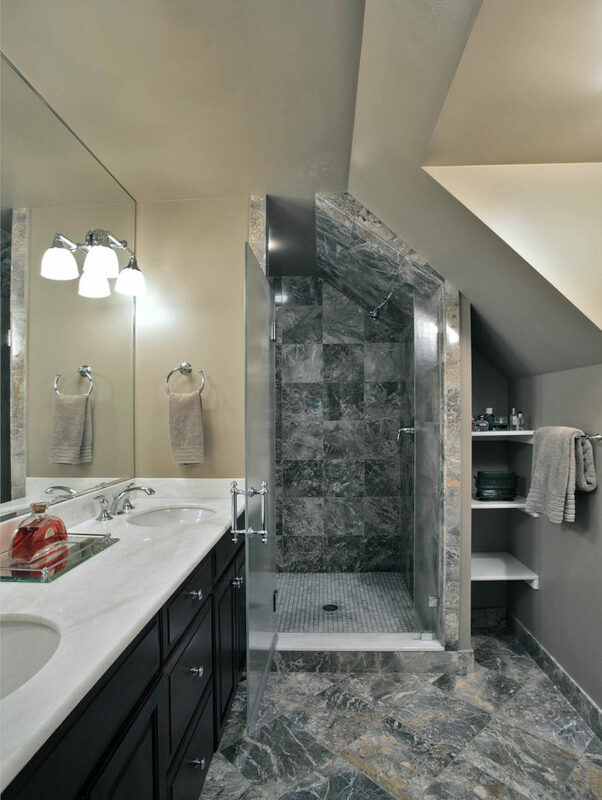 Let us handle all of your bathroom remodeling needs so that you can enjoy the many benefits of an upgraded, modern home. We understand how stressful a bathroom remodel can be, which is why we do everything we can to minimize any inconvenience you may experience. Our services are design-build, which means we can handle your entire project from start to finish (including obtaining any necessary permits.) No details will get lost in a transition between companies, and you’ll get to stay with the same trusted team throughout the duration of your renovation! Additionally, you will only have to worry about one point of billing rather than several, which will greatly simplify your life. To us, you’re not simply another remodel to check off our list. We care about you and your home and hope that you’re so pleased with your bathroom finishing that you’ll make us your go-to renovators. When your family and friends in Bethesda, Chevy Chase, or Upper Northwest D.C. are looking to remodel their kitchens, bathrooms, living spaces, outdoor areas, or patios, we hope to help them too! In the process of turning your house into the home of your dreams, we hope to earn your continuing business as a Client For Life.